A memorial garden commemorates the victims and the families who have been affected by road accidents in South Australia. Chose this place to look back and remember the past and remember not only the people who have lost their lives or been injured on our roads but also family and friends left behind. You are not alone.... Let this place give you hope. May this place give us strength to guide us into the future. 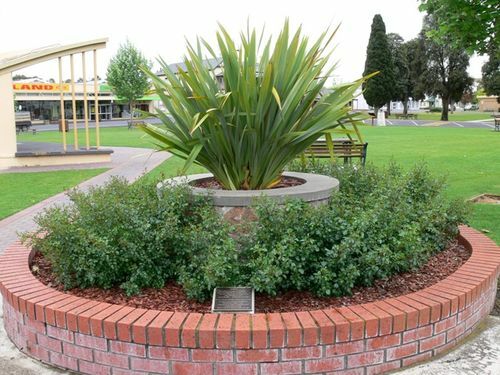 This memorial was established and supported by the Naracoorte Lucindale Council. It was born out of despair at the needless deaths on South Australian roads.